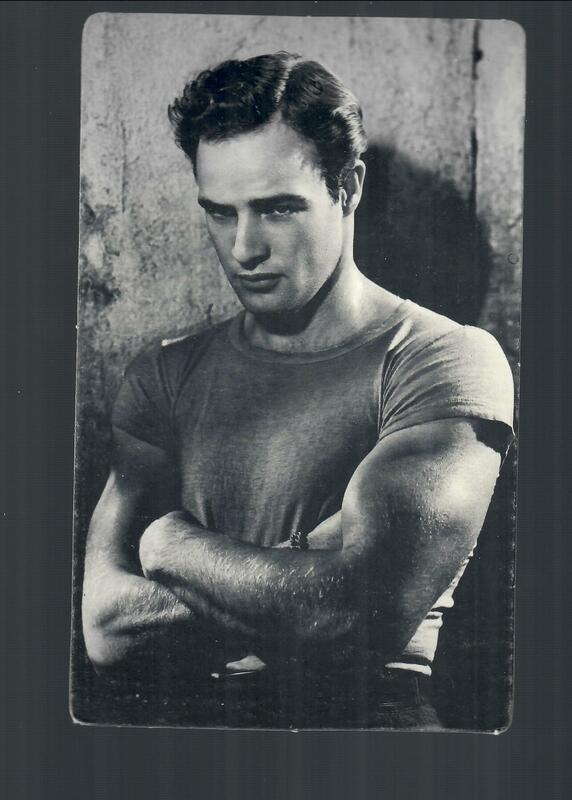 This is a rare Marlon Brando "oversize" postcard. It measures approx 5"x8". It pictures Brando as Stanley Kowalski from the movie "A Streetcar Named Desire" 1951. Card is in excellent shape with no rips, tears or bad defects. 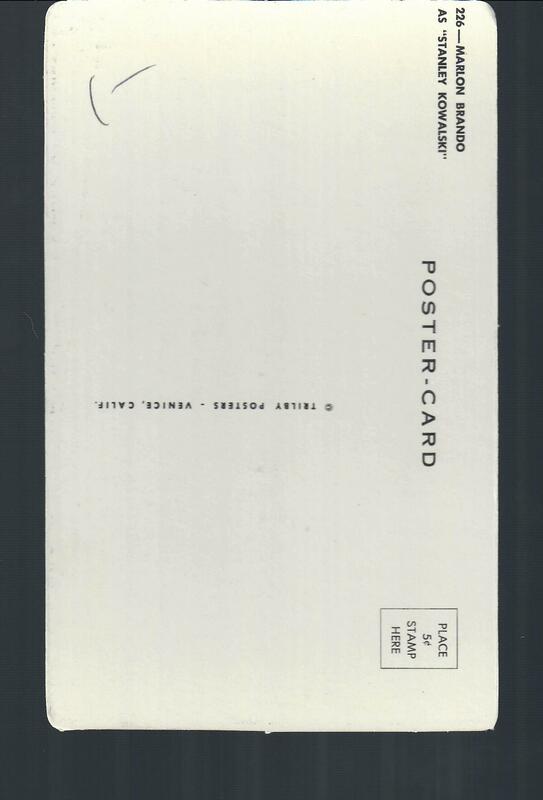 There is some writing on back of card (see scans) otherwise it is clean and neat. This is from an estate sale.